There are a number of references to navigation in this week’s journal entries. Navigation is being able to move from one place to another, both safely and efficiently. We are always navigating our way around, often without thinking about it. Navigating a vessel safely from England to South Australia in 1836 required precision and skill. There was no modern day GPS equipment and sailors used the position of the sun, moon and stars to calculate a longitudinal position. Bingham Hutchinson onboard the Buffalo makes many references to location, providing us with great detail about the ship’s position and distance travelled. By plotting these references on a map, we can identify the routes travelled and make comparisons between the nine voyages. Did each ship take the same route and which route was the safest and most efficient journey from England to South Australia? What instruments were used to navigate ships in 1836? What types of maps were available in 1836 and how were these created? What is the accuracy of the navigational tools used in the past compared to those used today? How has navigation changed since 1836? What information would each of the captains have gathered before commencing the voyage to South Australia? Discuss what the terms fathoms water’ and ‘fathoms cable’ may mean. One of the oldest navigating instruments on board was the leadline. It was a length of rope measured in fathoms. What is a binnacle and for what purpose is it used? 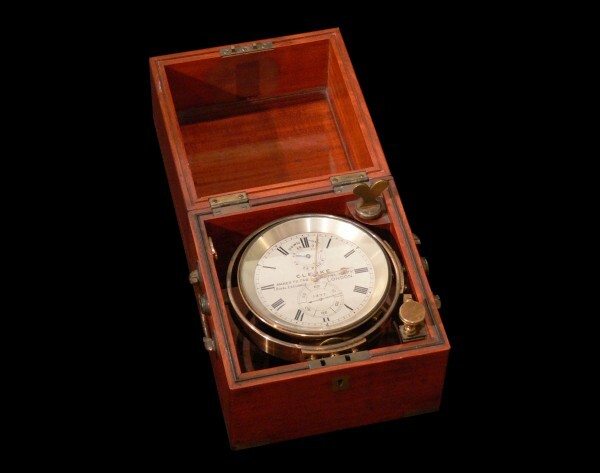 What is a chronometer and how was it used to calculate longitude? Compare the workings of a sextant to the way a modern day GPS. What does a cartographer do? How has the skill of cartography changed over time and what has has influenced these changes? Use the Internet or visit your local library or museum to find a map that is over 100 years old. Use Google Earth to locate the exact same location. Compare the maps and draw conclusions as to why features of the maps are the same /different. Which tools were used to develop each map. Photocopy a map of your local area. Ask students to identify features using grid references and keys. Examine nautical charts that show the depths in the ocean. How are these charts useful for ship captains in navigation? Find your street / house using Google Earth. Discuss the privacy issues related to this. Use a values line to generate discussion. Find out the difference between a chart and a map. Navigation is a skill that requires thinking and accuracy. Think of a situation in which skill and accuracy is required. Write a procedural text could be used to teach this skill to another person. Develop a glossary of words related to mapping and navigation. 1. Use Bingham Hutchinson’s journal entries from week 24 to plot the route and distance the Buffalo has travelled to date. You might like to continue to plot the voyage of this vessel all the way to South Australia. A) Draw a map of the world, including continents and countries (without using other sources). Set the same task at the end of the unit to gauge learning. - What type of map is it? - Why was it made? - Who might use the map? - What are some features of the map? 3. Draw an aerial view of your classroom. Use grids and coordinates, ensuring objects are drawn to scale. Design a new layout for the same room. How would you rearrange the furniture? Include a paragraph giving reasons for the changes. Select the most practical design and trial the changes in room lay out. 4. Create a human map of the world. Mark the equator, Artic and Antarctica. Students select a country name from a container and position themselves correctly in relation to these features and other countries. Encourage the use of an atlas to support learning, (this task could also be done with a focus on a specific continent). 5. The Chinese are thought to have invented the compass about 2000 years ago. A man named Zheng He is noted as the first person to use the compass for navigation at sea in 1405. How important was a compass onboard these colonising vessels? Make your own compass and use it to navigate to different areas within your classroom. 6. Show the students a picture of a sextant. Do not tell the students what the object is, and only that it is a tool used for navigation. Invite students to think about what the object is using the POW (predict, observe, wonder why) strategy. Following this, find out the purpose of a sextant, how it works, and how it was used in navigation. 7. You will discover that an angle in degrees is read off the sextant as part of the calculation process. 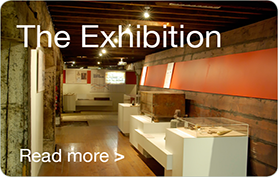 Explore the concept of angles in greater depth and identify how an understanding of angles was required to build these wooden vessels bound for South Australia. Use the ships specifications to create your own model of one of these first vessels. Contact Orienteering SA to organise an orienteering workshop at your school. Participating in an orienteering session will help develop an understanding of map features, map reading and directions. 8. Set up your own orienteering trail within your local area. Use a compass to develop a draw a map of the area. What features need to be included on your map and what instructions are needed for a friend to be able to navigate successfully through your trail? 9. Identify the differences between travelling on land, at sea and in the air. Use a Venn Diagram with 3 circles to compare the navigation tools used in each of these situations today. The navigational tools became broken or unusable during the voyage. Navigation in 1836 required much greater skill and knowledge than what is required today. 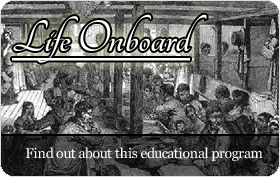 We previously read in Stevenson’s journal that he was concerned about the education of the children onboard the Buffalo. Today we know the importance of a getting a good education, but what was the English education system like in 1836? What skills and understandings did children need to grow into productive and well respected citizens? Next week we again read about Stevenson’s views on education and learn of his proposal for future emigrant ships.